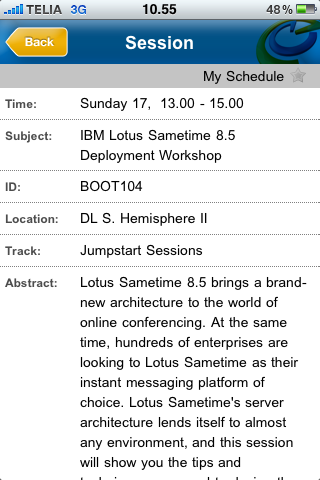 Apparently parts of the Lotusphere Online site is made up of Lotus Connections as one might expect so be sure to update your profile information there as well. 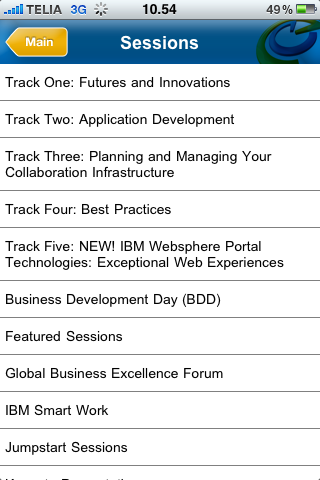 Based on the overwhelmingly positive reception of our web application for planning your Lotusphere 2010 attendance (see Lotusphere 2010: Check out this killer Lotusphere planning web app!!) I wanted to update you on the application and the suggestions to functionality you have made. Based on feedback from YOU we’ve added the ability to navigate between days in the “tracks”-view, made sure that all the BOF sessions are imported and that sessions with multiple speakers list all speakers and not just the first speaker. 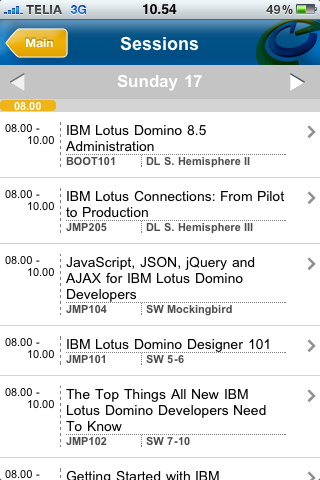 Since BOF sessions start at 7AM a small change to the timebar was also necessary but that should hardly be visible. 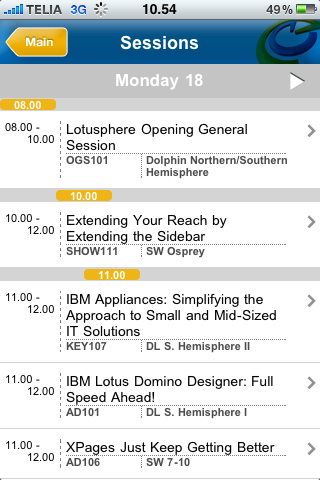 As shown below we’ve also added a menu item on the frontpage describing the different ways of reaching us while at Lotusphere. On this page you’ll see e-mail addresses, mobile phone numbers and of course Twitter handle for those of us on Twitter. As always keep the suggestions coming. 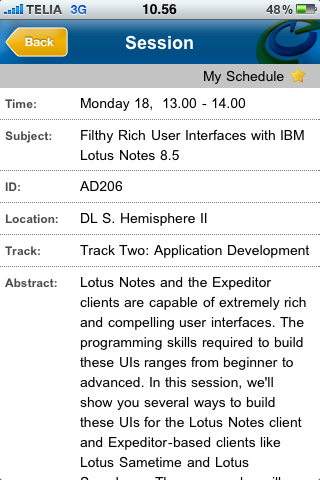 Posted on January 6, 2010 Tags iphone, lotusphere20107 Comments on Lotusphere 2010: Check out this killer Lotusphere planning web app!! Also had “A lot of focus on XPages in the client as the next development paradigm for the Notes client – forms/views only maintained for “backwards” compability” but this has already somewhat been delivered for Notes 8.5.1 (despite saying that forms/views will be deprecated at some point). 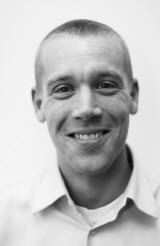 Received word over the weekend that the BOF I’m hosting (Let’s talk Notes/Sametime/Expeditor plugin development!) is now officially called BOF211. The BOF was however scheduled in the same time slot as BOF206 (Application Architecture Based on Composite Application Technology) which I thought would have much of the same audience as “mine” so I wrote to the planners. My BOF (BOF211) has therefore been moved and is now not conflicting with BOF206. Sweet! “My” BOF is now going to be on Wednesday at 7AM in Swan Heron. See you there. Posted on December 16, 2009 Tags bald, lotusphere20101 Comment on Lotusphere 2010: BALD! ?